Not everyone knows these aspects of dumpster rental so we thought we’d help out a bit! Renting a dumpster may not be something you do on a regular basis. Here at Happy Little Dumpster, we strive to provide our customers with as much information as possible when it comes to dumpster rentals. Below are some things you may not know about dumpster rental. Each dumpster has an allotted weight. If you go over that weight, you will incur more costs. Not only can an overfilled dumpster cost more money but it can bring about risk when loading and being transported. It is more difficult to contain materials in a dumpster that has been overfilled as items can easily fall out during transit. This can jeopardize the safety of others. To be safe, you should never fill a dumpster more than halfway to three quarters full. If you are disposing of concrete or other heavy materials like loads of dirt, it is best to stick to the halfway mark. 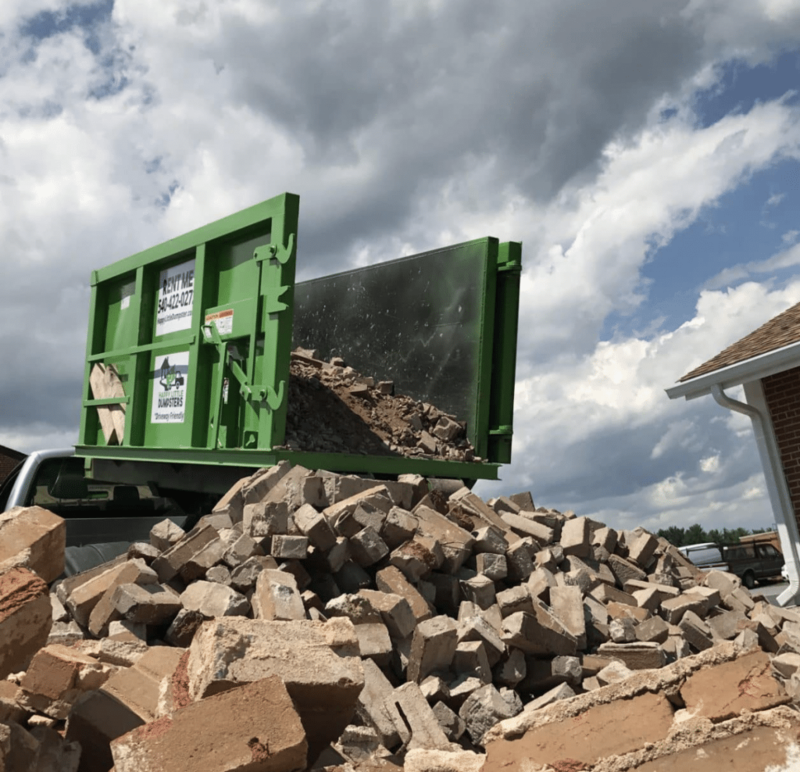 It is important that you make room on your property before renting a dumpster if you are renting for a residential project. Dumpsters cannot be placed on a street in front of a property for residential use. Dumpsters can be traffic hazards and may violate local city codes. If you do not have space on your property for a dumpster, it is important that you contact local city government offices to determine if you need a permit to place a dumpster on your street. Some landfills will not accept tires. Some assess a fee per each individual tire. Other items that may be rejected or could cost you more include computers and other electronics, wet concrete, paint, appliances, stove tops and ovens, hazardous chemicals, refrigerators and medical waste.